Will Pruitt Math Harm Your Air and Water? Forget his use of a staffer to secure a used Trump hotel mattress, his taxpayer-funded secure phone booth, his insistence on flying first class, or his special rental deal with a lobbyist. Those scandals will go away when Environmental Protection Agency (EPA) Administrator Scott Pruitt is no longer in charge of the agency. But his legacy could be far more lasting. Pruitt plans to fundamentally change how EPA does business, critics charge. And he’s doing it in the weeds of government process so deep and wonky, it may escape much public attention. He’s given the public only 30 days to comment on this change, and the clock is ticking. Deadline is July 13. Last week, 10 public interest groups asked Pruitt for an extension of that comment period to permit their “meaningful feedback” on the proposal which has the “potential to significantly alter the manner in which EPA carries out its statutory mandates to protect people and the environment against unacceptable risks of harm.” Several other environmental and scientific integrity groups made the same request. To public health and environmental advocates, however, the impact of the change could be devastating. Revising cost-benefit evaluations, they predict, would pave the way for laxer regulation of polluting industries, giving a break to coal-fired power plants, oil companies, and automakers facing tougher emissions standards. They charge that Pruitt wants to simply devalue the public benefits of rules so he can justify why he drops them, endangering both the planet and public health. Who Benefits from Cost-Benefit Analysis? Here’s the problem, progressive advocates say: The practice of cost-benefit analysis has been framed as just common sense. “Who would object to requiring policies that generate more benefits than costs?” Goodwin said. Business lobbyists convinced Ronald Reagan to require agencies to consider the costs and benefits when they proposed major new regulations, and that directive, somewhat softened by President Bill Clinton, largely has remained in place, Sinden said. She adds, however, that Congress, in its landmark laws, did not require cost-benefit analysis, and even prohibited it for laws setting standards for air quality and protections for endangered species. Executive orders don’t have the force of law, but they do affect how agencies do their work. Businesses would like to pass a cost-benefit law, Sinden charged, but Congress to date has resisted those efforts. Getting the Pruitt rule through would be the “next best thing,” she said. Costs estimates are easy to get. 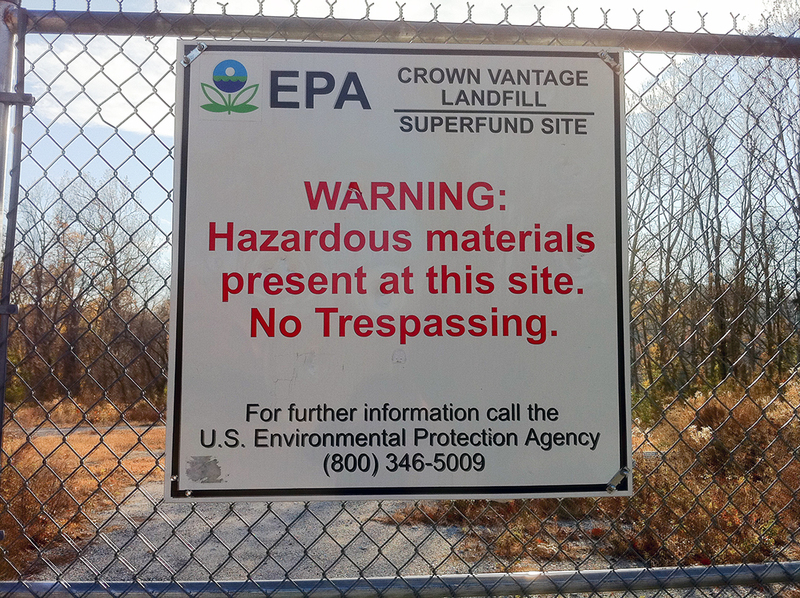 EPA relies on companies to predict how much they will have to spend to comply with a new rule. Companies not only can give specific numbers, Goodwin said, they likely will be motivated to give high estimates to deter regulators from acting. And any predictions of future costs — even if companies don’t fudge the numbers — will not be able to foresee innovations that might ultimately reduce the costs of compliance, he said. Benefits are more difficult because they are often far less tangible. “You can only count what you can count,” Goodwin said. Likewise, when trying to value a human life, economists will consider how much extra employers must pay workers in high-risk jobs. EPA currently values a life at $10 million. Some economists contend that figure is too high. “If somebody came to you and said, ‘Can I kill your husband for $10 million?’ how would you respond?” Goodwin asked, pointing out that valuing life cannot be reduced to purely economic terms; it’s an ethical question. Even on economic grounds, he said, tying the value of life to higher pay for dangerous jobs presumes that workers have more power in the labor market than they actually do. The public seems to agree. In 2003, when EPA tried to “discount” the value of the lives of older Americans, there was so much opposition that the agency backed off. Despite all the limits of cost-benefit analysis, the Obama EPA was able to come up with strong rules whose benefits exceeded their costs, Goodwin said. So Pruitt now wants to make cost-benefit analysis “even more deregulatory,” he charged. Pruitt has not entirely explained how he wants to change cost-benefit analysis. But one provision is spelled out: EPA is considering dropping co-benefits in its calculations. A “co-benefit” is a secondary or ancillary benefit that wasn’t the primary reason for the rule. For example, you might go on a diet because your doctor wants to improve your health, but it might have the co-benefit of improving your love life. These ancillary benefits always have been included when agencies do cost-benefit analysis. Indeed, the George W. Bush White House told agencies they should count any “ancillary” benefits. Visualization of carbon dioxide in the atmosphere. Deciding not to count these benefits is a big deal. And it pretty much tells you what Pruitt is really after, his critics say: He wants to justify gutting rules that would protect the air and water and address climate change. Making the transition to cleaner energy will cost billions of dollars, EPA acknowledged in 2015. But it would greatly improve public health because using cleaner fuels instead of coal- and oil-fired power plants would make the air healthier to breathe. Each year, it would prevent at least 3,600 premature deaths, 90,000 asthma attacks, and 1,700 heart attacks, generating well over $14 billion in health benefits. But those benefits of clean air could be off the table, if Pruitt gets his way. The Natural Resources Defense Council (NRDC) called Pruitt’s attempt to ignore these benefits “nonsensical.” NRDC senior climate and energy strategist, David Doniger, warned that his group would go to court if Pruitt attempted to overturn the CPP or other protective rules by ditching or diluting the co-benefits. “You can be 100 percent sure that we’ll sue,” he told the Guardian. Clean water could also be at risk, critics warn. Last year, even before he proposed changing the rules on cost-benefit analysis, Pruitt unilaterally ordered staff to drop some estimated benefits of the clean water rule. He wanted to make the case that the rule was too costly to implement, said Elizabeth Southerland, a senior scientist who resigned from EPA’s Office of Water last summer. 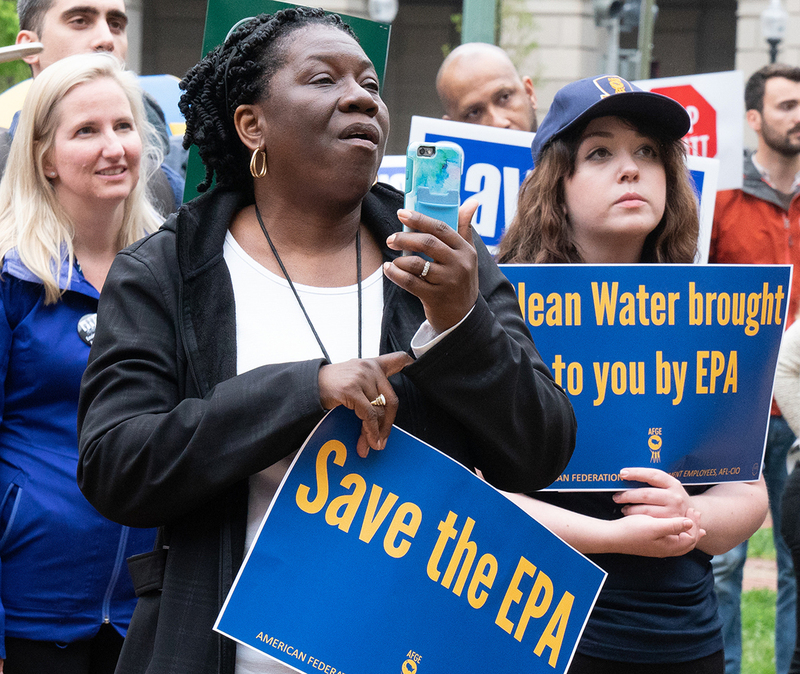 EPA had done a careful cost-benefit analysis of the rule demonstrating that the benefits of the rule far outweighed the costs to regulated parties, including agribusiness and developers, she said. The solution? “Delete the benefits of preserving wetlands,” Southerland said. Changes on the Supreme and lower courts are not giving any environmental advocates much comfort. Supreme Court Justice Anthony Kennedy, who announced his retirement last week, was the deciding vote in decisions that acknowledged EPA’s authority to regulate greenhouse gases, streams, and wetlands. Editor’s note: On July 2, EPA extended the comment period for the cost-benefit proposal for an additional 30 days. 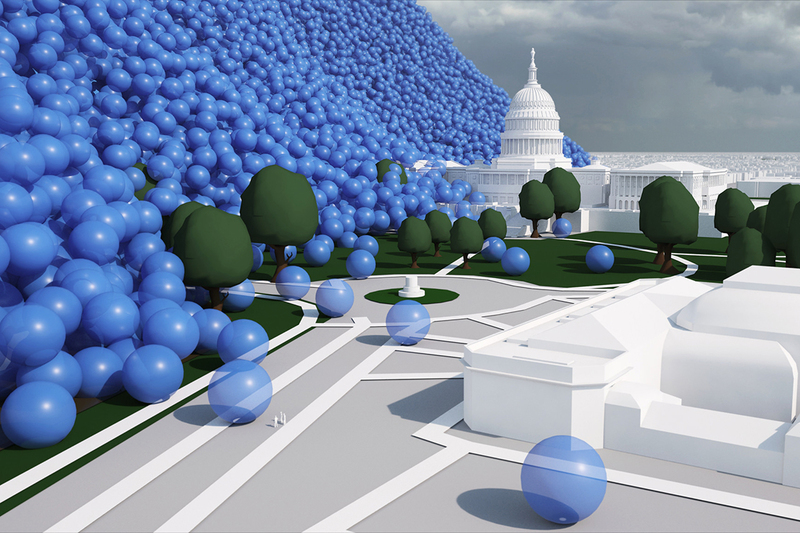 Related front page panorama photo credit: Adapted by WhoWhatWhy from ledger (rmkoske / Flickr – CC BY-SA 2.0) and EPA logo (EPA / Wikimedia).